Having a baby is a life-changing event in a woman’s life. At TotalCare for Women, our team of providers is available to guide you through your experience from pre-natal care to the delivery of your baby to post-partum and recovery after your baby’s birth. Planning to have a family is an important life event. Consult with your physician or certified nurse midwife on the best steps on conceiving to ensure a healthy pregnancy and baby. It’s best to schedule your appointment at least three months before trying to conceive. We understand that those who struggle with conceiving are going through a very sensitive and difficult time. The providers at TotalCare for Women can help those who struggle with infertility find options and treatment for infertility. During your pregnancy, your provider may recommend a variety of screenings to help monitor your health as well as your baby’s health. These screenings help optimize your baby’s care and development. Genetic testing during pregnancy can help diagnose some genetic disorders before birth. Your provider may recommend genetic testing if one or both of the parents have a family history of genetic disorders. AFP Tetra is a blood test used to help your provider identify pregnancies that may be at increased risk for open spina bifida, Down syndrome or trisomy 18. It does not diagnose birth defects, but can help identify those people with a higher risk who might benefit from additional testing. An amniocentesis is generally offered to women between the 15th and 20th week of pregnancy who have an increased risk of chromosomal abnormalities. It is generally offered to women who will be over age 35 at the time of delivery or those who have had an abnormal AFP screening test. A one-hour glucose screening test is a routine test during pregnancy that is usually conducted between 24 and 28 weeks of pregnancy. The test checks a pregnant woman’s blood glucose (sugar) level. An abnormal result or high glucose levels could indicate gestational diabetes. Should this occur, a three-hour glucose tolerance test is needed. Group B streptococcus (GBS) is a type of bacteria found in the lower genital tract of some women. Most often it is asymptomatic and does not cause problems for pregnant women. On rare occasions uterine infections can occur postpartum. GBS is also the most common cause of life-threatening infections in newborns, including pneumonia and meningitis. Newborn babies contract the infection from the mother’s genital tract during labor and delivery. It is recommended by The Centers for Disease Control and Prevention to screen all pregnant women for vaginal and rectal GBS colonization between 35 and 37 weeks of pregnancy for certain risk factors. The treatment of mothers with certain risk factors or positive cultures is important to reduce the risk of transmission of GBS to the baby. Babies whose mothers receive antibiotic treatment for a positive GBS test are 20 times less likely to develop the disease than those without treatment. 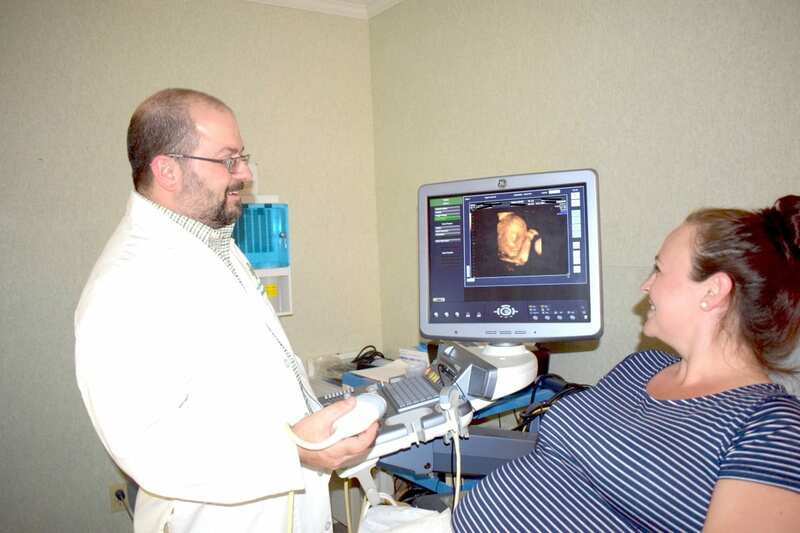 An obstetric ultrasound is a diagnostic tool that uses sound waves to produce pictures of a baby or fetus in a pregnant woman. It is not harmful to the baby and is the preferred method in monitoring a pregnancy. Are you pregnant and not sure what home remedies are safe for you and your baby? Here is some information to guide you. The providers at TotalCare for Women typically advise to avoid taking any medications, especially during the first trimester. However, if a healthcare provider who is aware you are pregnant prescribes medication, we recommend that it is in your best interest to take the medication without delay. If you have any concerns or questions, call the prescriber immediately. The following is a list of over-the-counter medications and therapies that pregnant women can use starting in the second trimester (13th week). Items listed for nausea/vomiting can be safely used from the very beginning of pregnancy. (*) indicates active ingredient/generic of brand name. Generics can always be used in place of brand names.